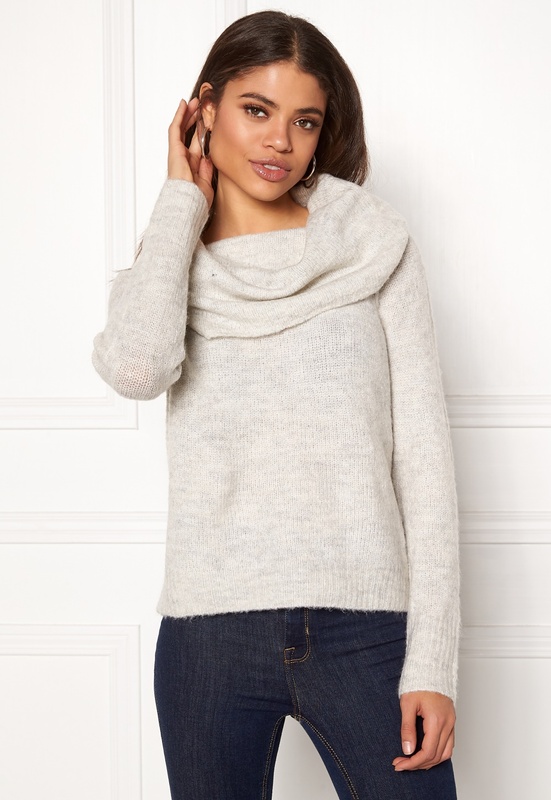 Soft turtleneck top in a lovely wool mix from ONLY. The top has a large, foldable turtleneck that can be worn on the shoulders. - Stretch knit quality - Large turtleneck - Knitted cuffs and lower hem Back length from shoulder 54 cm, bust 102 cm, sleeve length from turtleneck 65 cm in size S. The model is 176 cm tall and wears a size S. Machine wash at 30 degrees (delicate wash).